Responsive Web Design seems like nothing more than a fancy new buzzword being floated around a lot these days but really it is just talking about a concept that is simple in nature. It is all about making sure that everything on your website functions optimally across all the major devices through which people are accessing the internet nowadays. From the onset of the first iPhone back in 2007 to this day, the number of people using the internet through their phones has increased massively. Fast forward to 2018, the number of internet users through mobile has surpassed the number of internet users from desktop computers. This is why the aspect of Responsive Web Design isn’t just a new term, it is a necessary concept that needs to be adopted by every business. 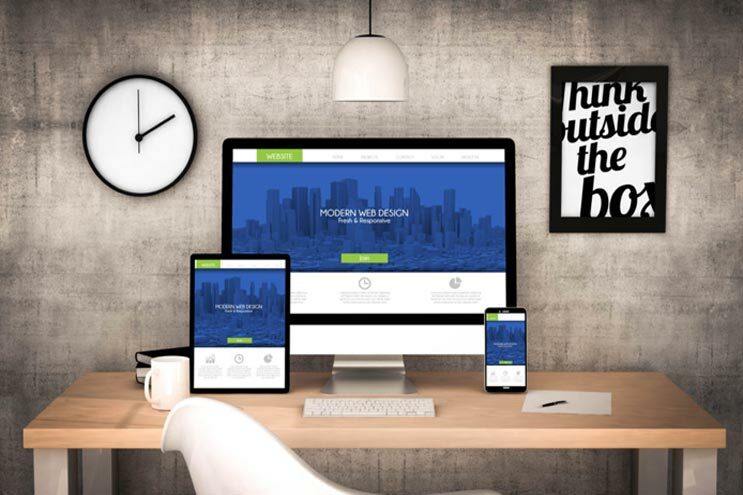 Here is a look at the 4 reasons why you need responsive web design. One of the foremost reasons why businesses even have websites is to leverage the power of the internet and gain relevant exposure to an online audience. Keeping that in mind, they know that ranking high on SEO is crucial for their success. The best search engine is Google and there is little left to debate that fact. The primary focus for Google is to provide the best possible user experience to people using their platform. That’s why Google evaluates your website based on the usability of your website through a varying range of devices. Having a responsive web design makes your website easily accessible across all devices and the top results from any Google search have that part of their web design sorted out. Another important reason why you need a responsive web design is that it reduces your work when it comes to optimizing your website for SEO. The alternative option to having a responsive web design is having separate web designs for mobile users and desktop computer users. That would mean your efforts to optimize them will be doubled. It’s easier for your SEO practice if you consolidate everything into a responsive website rather than wasting crucial time and effort on more than one website layouts. See, when you have a responsive web design, it is not only going to save you a lot of time and effort to manage the website’s SEO, it will also save you a lot of money. Think of it this way: if you opt for separate web design layouts for desktop computers and for mobile devices, you will be investing a lot more money into SEO than you need to. Managing SEO is an ongoing process and it will get too difficult to keep on effectively managing completely different aspects of it all at the same time. When you have a web design that is optimized for laptops or desktop computers, it is very easy to find all the important information like the “about Us” and contact information because of all the space on the screen. The thing is that the same layout will not work as well for mobile phones. Most of the visitors to your website are using their phones and what good is your website if it doesn’t allow them to contact your business easily? You want more paying customers, right? They need to be able to interact with you for that. Having a responsive web design is not just recommended, it is good business practice and it is necessary for success in the current business landscape. Don’t waste your time and invest in getting a good and responsive web design job done.